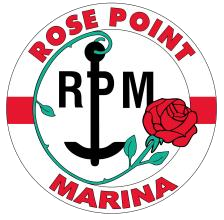 Rose Point Marina is the PREMIER, independent maintenance and repair service center in the Parry Sound District for ALL Makes and Models of Boats, Boat Engines, Outdrives, and Boat Trailers. In addition to our expert repair and maintenance services, we also offer a complete range of new and used boats, boat parts and boating accessories, from anchors & buoys to wakeboards, and everything in between! We can meet all of your boating needs with quality service, parts, quality service, parts, warranty and accessories. All at affordable prices! © Copyright 2007 - | Rose Point Marina | All Rights Reserved.